The latest elections in Tunisia have firmly set the country on a solid path towards full democratic transition. In a region rife with ideological and doctrinal conflicts, and amidst the failure of the Arab uprisings to bring about meaningful regime change, Tunisia stands as the only ray of hope. 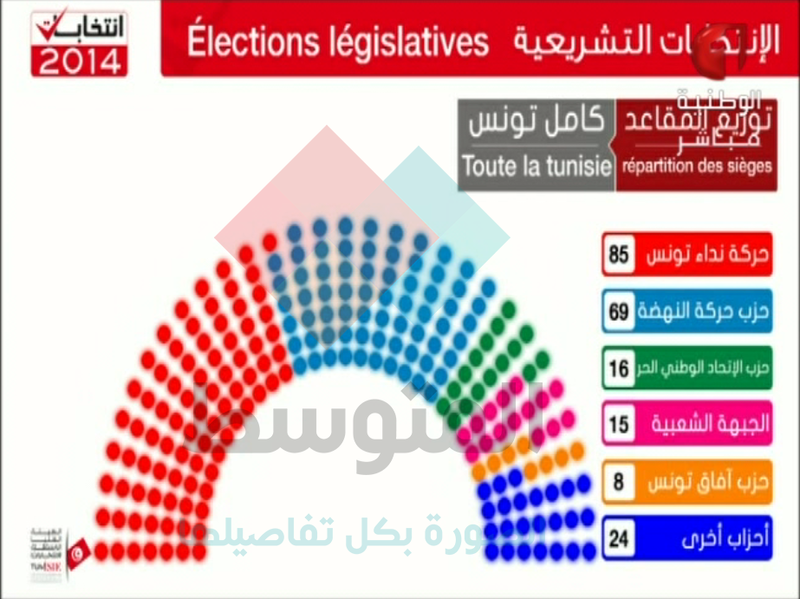 The electoral defeat of the Islamists of Ennahda and subsequent concession to Nida' Tounes (Tunisia's Call) party show how far the democratic values have been entrenched in Tunisia’s political culture. Contrary to confrontationist views on political Islam, these elections are not an indictment against radical anachronistic Islamists, nor have the Islamists engaged in electoral dissimulation, or attempted an abrogation of the electoral processes. Nida' Tounes's victory is not a blow to political Islam as much as it is a momentous event highlighting the success of the democratic political process in Tunisia. The results of the elections and the vast plurality of the votes that the Bourguibist-secular Nida' Tounes accumulated on Sunday are a reaction to societal disappointment with Ennahda’s governance and inability to tackle the many socio-economic problems and security challenges that Tunisia is facing prior to their forced retreat from power a year ago. Nida' Tounes faces a monumental task to deliver now that they are set to rule over a coalition government. Concerns over the membership of Nida' Tounes, however, could overshadow their mandate over the next few years. Nida' Tounes is made up of former regime functionaries and politicians. The party has worked diligently to distance itself from ties to deposed president Zine al-‘Abidine Ben 'Ali and his former party of power the RCD (French Acronym for Democratic Constitutional Rally). 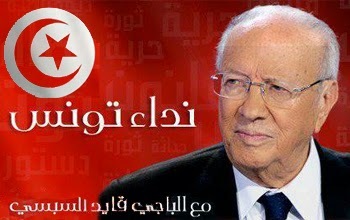 For now the plurality of Tunisians have accepted the narrative of Nida'. But as the new government tackles some of the pressing socio-economic issues of the country, and in the case of under-performance or potential setbacks, old skeletons may resurface again tying the party to the tejma’a of former RCD-ist members. Nida' Tounes’s octogenarian leader Beji Caid Essebsi’s decision to seek the election in the presidential elections set for November 23rd is also causing much consternation from Tunisians concerned about a total Nida' dominance of both the executive and legislative branches of government. In the spirit of the democratic and civil constitution, however, political actors from Nida' Tounes and Ennahda expressed their renewed commitment to a peaceful political transition. Beji Caid Essebsi, himself a relic from both Bourguiba and Ben Ali regimes, has so far channeled the right message in victory stating that Nida' will not govern alone, even if it means a coalition with Ennahda. That is unlikely, however, for Nida' will probably court its own family of leftist parties to join in the new government. Leftist secular UPL (French acronym for Free Patriotic Union) of Slim Riahi, sometimes dubbed as the Tunisian Berlusconi, is already setting conditions to join Nida' in the new government with demands for meaningful cabinet portfolios. Ennahda Islamist party is reeling after its failure to capitalize on the popularity and momentum it garnered after the fall of Ben 'Ali's dictatorship in the initial stages of the Arab spring. The party suffered from lack of experience in governance, false perceptions of association to radical Islamists, and marred by two high profile political assassinations of leading secular politicians under its watch. These fed into the general sense of insecurity Tunisians have felt under Ennahda, especially as the rest of the Middle East and North Africa is rife with radical Islamist extremism. Ennahda has also paid the price for its inability to deal effectively with the economic challenges, and general political reforms that Tunisia still needs especially in the area of the judiciary. Its leader Ghannouchi perhaps spent more time making the case for the compatibility between democracy and political Islam abroad than at home. Tunisia is steadily inching towards democratic consolidation where fair, free, and competitive elections, rule of law, and respect for civil liberties become the “only game in town.” Tunisians are undergoing vast behavioral and attitudinal changes. While Tunisians’ confidence in democracy is waning as the latest pre-elections Pew survey shows, belief in further political change through democratic means is still strong. Democratic consolidation, however, can only be further advanced if government forces in Tunisia continue to resort to constitutional means to resolve conflicts, and build areas of compromise within the boundaries of state institutions.